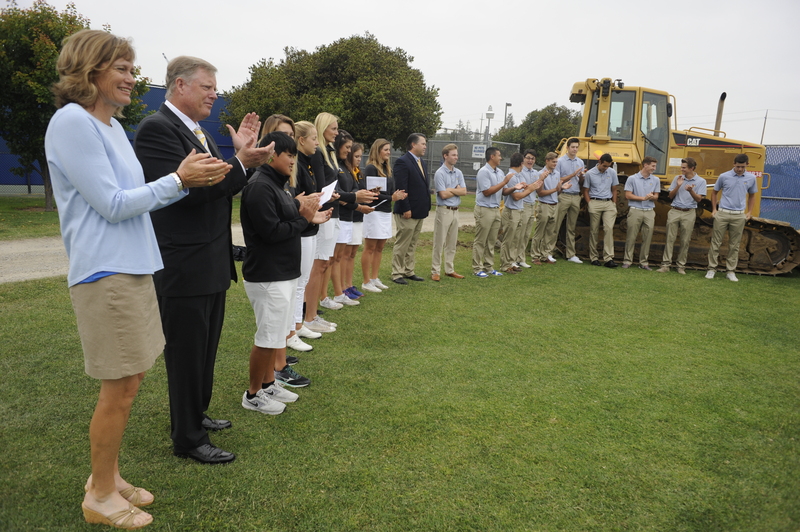 The men’s and women’s golf teams at the groundbreaking of the Spartan Golf Complex in May 2016 (Photo: Neal Waters, ’07 Geography, ’16 MS Mass Communications). 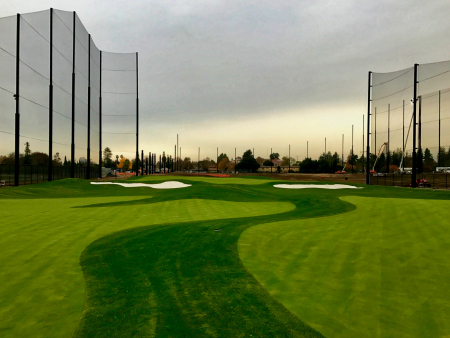 San Jose, Calif. — San Jose State University will celebrate the completion of the Spartan Golf Complex at an event planned for 10:30 a.m. June 1. Among the first significant renovations to South Campus athletics facilities in recent years, the privately-funded project was made possible by a $5 million gift from alumni Rich and Cindy Thawley and multiple gifts from other donors. The opening of the 15-acre, $10.2 million complex, one year after construction began, will be preceded by a short program featuring President Mary A. Papazian, Tuite, Rich and Cindy Thawley, members of the men’s and women’s golf teams and their coaches. The facility is located at 579 E. Alma Ave. This event is open to the university community, the public and the media. College sweethearts, Rich and Cindy have been married since 1979. They met at Cindy’s sorority house, when Rich was running what would prove to be a successful campaign for student body president. Rich also worked in San Jose State Athletics as an associate athletics director. Rich and Cindy started their extended career in the life insurance and securities business in 1980. Early on, they helped to develop a company known today as Primerica Financial Services. In 1991, they left Primerica and founded a company now known as World Financial Group. “The generosity of the Thawleys and other donors demonstrates the power of philanthropy to advance San Jose State University’s impact in and beyond our community,” Vice President for Advancement Paul Lanning said. The Spartan Golf Complex near completion (photo courtesy of Spartan Athletics). After a ribbon cutting, guests will be invited to a ceremonial first swing. Two grass tee areas will provide hitting positions for 80 golfers. In addition, the complex will offer two large tour-quality putting greens, three bunkers, and two chipping greens. Three target greens will be positioned in a 400-yard-long driving range for distance hitting practice. Blach Construction and Gensler served as general contractor and architect, respectively. Fundraising is underway now for phase 2, which will include a clubhouse with a fitness center, locker room and coaches’ offices. Other recently completed South Campus projects include a new field for the men’s and women’s soccer teams and the Stephens Family Pitching and Hitting Facility for the baseball team. San Jose State’s men’s and women’s golf programs have rich histories. Since college golf first became a NCAA sport in 1897, and with the addition of women’s golf to the NCAA’s championship calendar starting in 1982, the Spartans are one of only nine programs to claim a NCAA Division I Men’s Golf Championship and Division I Women’s Golf Championship. The Spartans are one of 11 schools with a NCAA individual men’s champion and women’s champion. Professionally, San Jose State alumni have 131 victories on the PGA, LPGA, Champions, Nationwide and PGA Tour Canada tours. Spartan golfers can claim 23 major and United States Golf Association (USGA) championships through 2016. Ken Venturi, Juli Inkster and Patty Sheehan have major championship victories as part of their World Golf Hall of Fame careers. Mark Hubbard, ’11 Business Management, is the latest Spartan to join the PGA Tour. With more than 35,000 students and nearly 4,370 employees, San José State University continues to be an essential partner in the economic, cultural and social development of Silicon Valley and the state, annually contributing 10,000 graduates to the workforce. SAN JOSE, CA – San Jose State University is pleased to announce that it will break ground next week on the Spartan Golf Complex. The $10.2 million project will be the first-ever on-campus training facility for SJSU men’s and women’s golf. The entire project will be funded by private giving, including a $5 million lead gift commitment from entrepreneurs, financial industry executives and alumni Rich and Cindy Thawley. The ground breaking will take place 11 a.m. May 13 at South Campus, near East Humboldt and South 10th streets. The complex will be located on acreage bordered by these two streets plus East Alma Avenue and Senter Road. The groundbreaking will be celebrated by Interim President Susan Martin, incoming President Mary Papazian, Athletics Director Gene Bleymaier, donors Rich and Cindy Thawley, and members of the men’s and women’s golf teams and their coaches. This event is free and open to the university community, the public and the media. 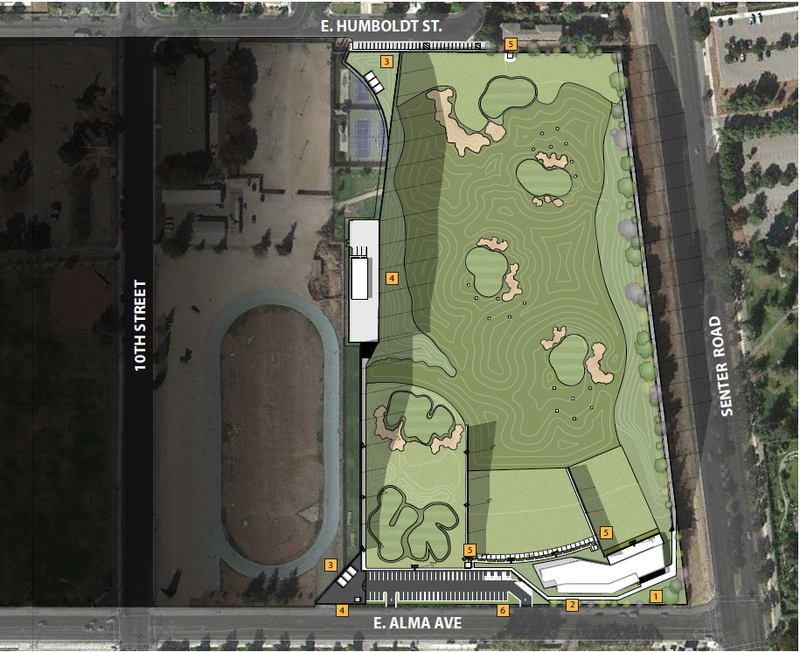 The complex will span from East Humboldt Street in the north to East Alma Avenue in the south. Two grass tee areas will provide hitting positions for 80 golfers. In addition, the complex will offer two large tour-quality putting greens, three bunkers, and two chipping greens. Three target greens will be positioned in a 400-yard-long driving range for distance hitting practice. This work is slated for completion in December 2016. Phase 2 will include a clubhouse with a fitness center, locker room and coaches’ offices. SJSU has selected two San Jose-based companies, Blach Construction and Gensler, to serve as general contractor and architect, respectively. The baseball, softball, soccer and tennis facilities will be moved to other South Campus locations. Rich and Cindy Thawley consider themselves, first and foremost, family people. College sweethearts, they have been married since 1979. They first met at SJSU at Cindy’s sorority house when Rich was running a successful campaign for the student body presidency. Rich also worked in San Jose State Athletics as an associate athletics director. Rich and Cindy attribute a lot of their early personal development to their experiences at SJSU and are proud alumni. Shortly after their marriage, Rich and Cindy left San Jose State to pursue a career in financial services. Today, the Thawley family consists of two sons, a daughter, son-in-law, and three grandchildren. Rich and Cindy believe that their greatest accomplishments have been within the walls of their home. They are passionate about their business and industry, but their life’s work is truly about being people of faith and being parents and grandparents. 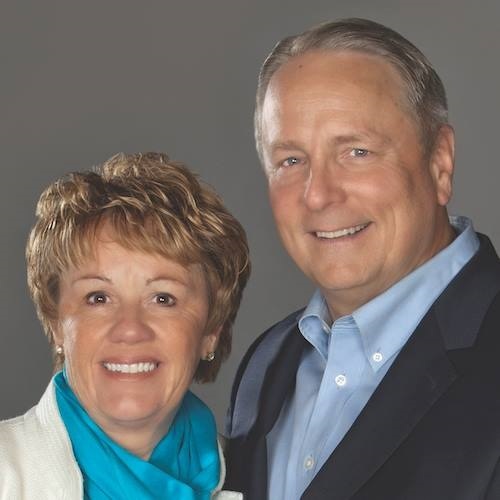 Rich and Cindy started their extended career in the life insurance and securities business in 1980. They quickly excelled in leadership development and as agency builders. In their early career, they helped to develop a company that is known today as Primerica Financial Services. In 1991, they left Primerica and founded a company that is known today as World Financial Group. For more than 30 years, they have been directly or indirectly responsible for introducing and transitioning tens of thousands of people from all walks of life into the financial services industry. The organizations they founded have generated billions of dollars of life premium, annuity deposits, and other investments. The Thawleys also sit on several consulting and advisory boards with other companies, foundations and universities. San Jose State’s impact on the game of golf is defined by world-renowned Hall of Fame players; valued teaching pros and club professionals around the country; Hall of Fame coaches; and the television voices and leaders of the game. Since college golf first became a NCAA sport in 1897, and with the addition of women’s golf to the NCAA’s championship calendar starting in 1982, the Spartans are one of only nine programs to claim a NCAA Division I Men’s Golf Championship and Division I Women’s Golf Championship. San Jose State won the 1948 men’s championship and became the first school to win three women’s championships with victories in 1987, 1989 and 1992. The Spartans are one of 11 schools with a NCAA individual men’s champion and women’s champion. Bob Harris finished first in 1948 and Terry Small did the same at the 1964 NCAA Men’s Championships. 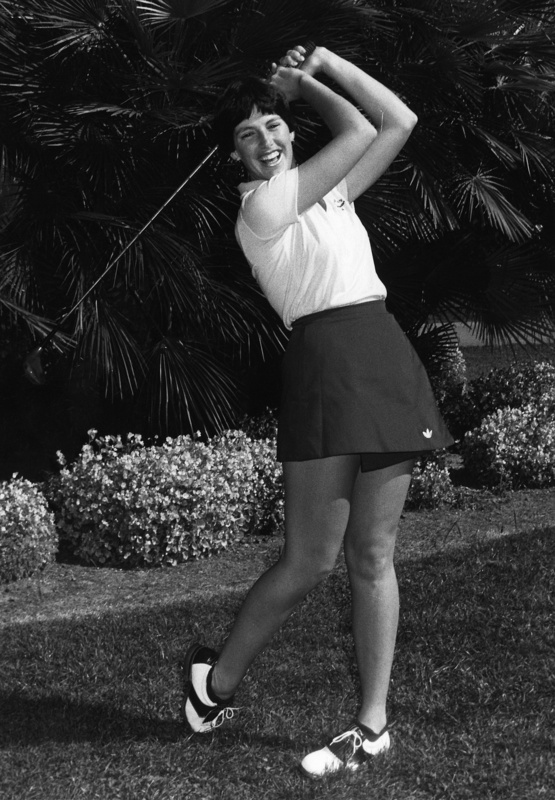 In 1989, Pat Hurst led from start to finish capturing the NCAA Women’s Championship. San Jose State, Arizona State, Florida, Georgia and Purdue are the five schools with men’s and women’s NCAA Division I team championships and NCAA Division I men’s and women’s individual champions. Overall, San Jose State has 29 top-10 team finishes and 32 top-10 individual placings at a NCAA Division I Men’s or Women’s Golf Championship. Professionally, San Jose State alumni have 131 victories on the PGA, LPGA, Champions, Nationwide and PGA Tour Canada tours. Spartan golfers can claim 23 major and United States Golf Association (USGA) championships through 2015. Ken Venturi, Juli Inkster and Patty Sheehan have major championship victories as part of their World Golf Hall of Fame careers. 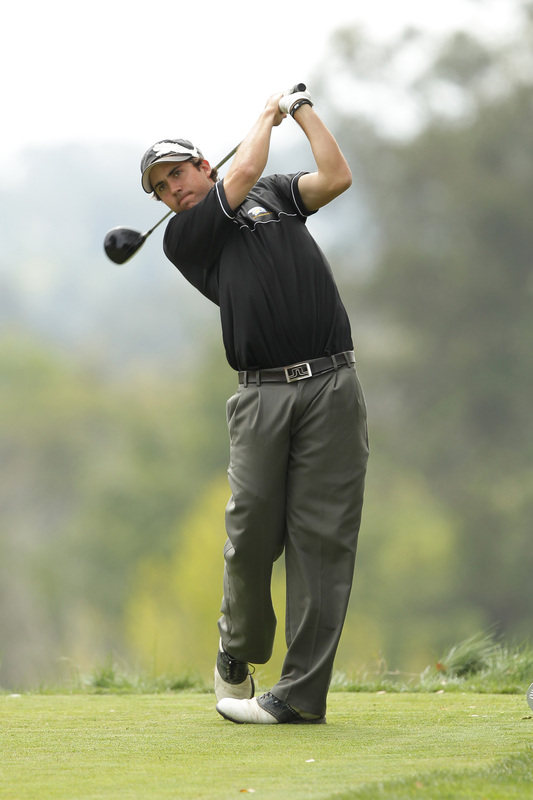 Mark Hubbard, ’11 Business Management, is the latest Spartan to join the PGA Tour. Venturi would become one of America’s voices of golf as CBS’s lead TV analyst for 35 years after he retired from the game. Today, Spartan alumni Roger Maltbie, Arron Oberholser, Mark Lye and Inkster offer their expertise to NBC, Fox Sports and Golf Channel shows. San Jose State’s great coaches include Golf Coaches Association of America Hall of Famers Mark Gale, who led the women’s team to three NCAA Championships, and Jerry Vroom whose men’s program appeared in 22 consecutive NCAA Championships. Lyn Nelson was the chief executive officer of the Northern California Golf Association from 2008 to 2013. She served 150,000 members, managed operations for 400 golf courses and catered to 8,500 children who played the game. And, San Jose State legend Peter Ueberroth is one of the co-owners of the Pebble Beach Company – home of the one of the world’s best-known shrines of the game. SJSU Interim President Susan Martin has emailed the following message to the campus community. This event is open to the public. I am writing to let you know about plans to honor the life and memory of SJSU student Ryan Harryman, who passed away Saturday night. A senior anthropology major from Sunnyvale, Ryan collapsed during club water polo practice last Tuesday evening and never regained consciousness. In close collaboration with his family, we have scheduled a candlelight vigil for this Friday, Oct. 23, beginning at 6 p.m. in front of the Smith/Carlos sculpture near Clark Hall. Students and others are invited to join in this informal celebration, during which participants will have the opportunity to share personal memories of Ryan. We all stand with Ryan’s parents, siblings, extended family, teammates and friends during this very difficult time. From the Cookie Kickoff to the final seconds of the game, Homecoming 2013 was outstanding. The festivities began Monday morning with free gold and blue cookies for everyone. The middle of the week brought circus performers, the Campus MovieFest grand finale and Fire on the Fountain, where the Homecoming king and queen were named. Seniors Daniel Harris-Lucas and Diana Busaka were selected based on their achievements. But the honor took on special significance this year, believed to be the first time in SJSU history that the king and queen are both African American. On Friday, San Jose State took over San Pedro Square. The revelry continued Saturday, when Golden Grads from the Classes of 1962, 1963 and 1964 joined current students at tailgate parties before the game. More than 16,120 fans packed Spartan Stadium. Spartans delivered a nail biter, beating Wyoming in the last few seconds of the game. Fireworks filled the night sky, but the celebration did not end there. Spartans awoke Monday to learn quarterback David Fales, who threw for a career-high 482 yards and five touchdowns, had been named National Performer of the Week. The former Wyoming walk-on was quick to deflect the attention. “We’ve got a lot of guys making plays,” he told the San Jose Mercury News. The excitement continues Saturday, when Spartan Football travels to UNLV, followed by the men’s basketball season opener 7 p.m. Nov. 4 at the SJSU Event Center. Have you seen the new floor? This is Sparta! It’s great to be a Spartan! Whether you’re an alum, a student, faculty, staff or part of our greater community, Homecoming reconnects friends to celebrate everything that’s new and exciting about SJSU’s bright future.